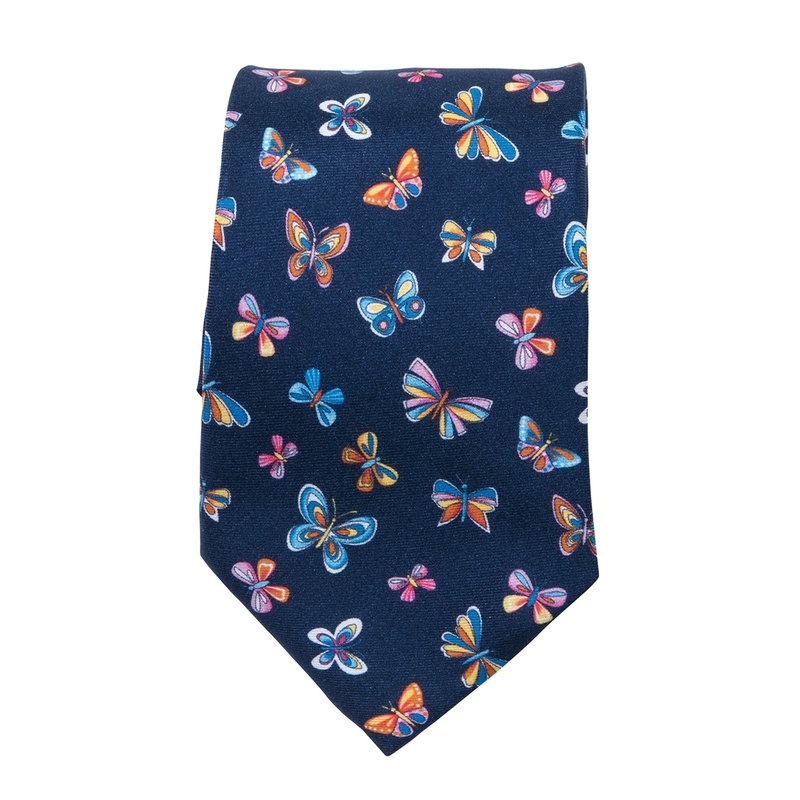 Butterflies on navy. New silk ties, are designed, woven and printed in Como, Italy, where working with silk is a tradition, a way of life. All handmade in Italy.